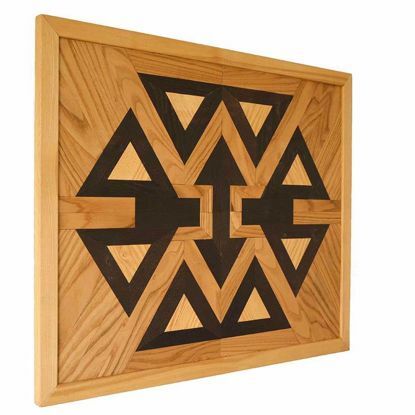 Based on the notion that Kilim motifs are not exclusively for carpets and rugs, Xumaru has achieved a first by applying traditional motifs to wood wall art products. In this collection, we selected the most exquisite and common motifs used in traditional carpets and rugs. These unique pieces which will bring your home visual beauty with their meaningful motifs are all crafted by master artists.